I’m frequently invited to give video and audio interviews. And some of these I’m quite pleased with. Usually, however, I’m speaking to a general audience and starting from scratch, so to speak, in explaining the basics of my thinking. One of these interviews however, which I recorded last year and recently had occasion to re-listen to, stands out as particularly good. 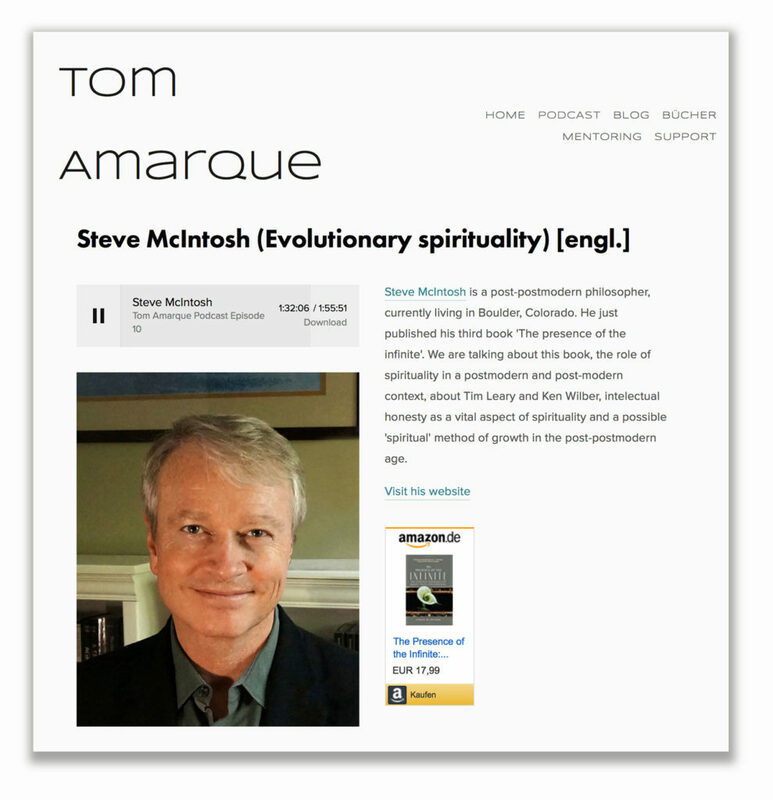 This interview is published in a podcast series by German writer and publisher Tom Amarque. Tom’s questions were all very good, and I think this is the best podcast I’ve done since The Presence of the Infinite was published. So I’m reposting here on my blog so you won’t miss it.